Back in 2015, Star Wars Battlefront was a title that had fans of Star Wars excited. It promised a return to the ground troop based combat we know and love and was a chance to show what EA could do with the Star Wars license. While Battlefront was well built and had a lot of promise, it lacked in a few areas, one of them being the story. This year EA and the new Motive Studios are crafting a full story, and if the first section is any indication, it will be engaging experience fans will enjoy. 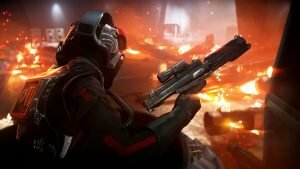 Moving away from the virtuous hero, Star Wars Battlefront II puts you in control of Iden Versio, leader of Infernal Squad, an imperial Special Forces unit. You have been born and bred within the empire, and to you, it is your where your true loyalty is found. This is not a story of good vs. bad, but a story of soldiers, working for their cause and fighting for what they believe in. The first thing you will notice as you boot up the game is the visuals. Battlefront was one of the best looking games to hit in 2015, and while Battlefront II may have some stiff competition this year, it is a truly stunning experience. Facial animation is up there with the best games this generation, and the landscapes and overall visual fidelity are staggering. From the corridors of spaceships to the forest moon of Endor, Star Wars Battlefront II is a treat for the eyes in every way possible. 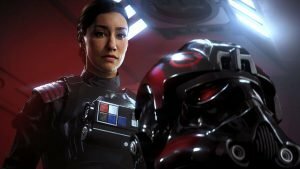 Star Wars Battlefront II will take players through a vast array of mission types and locations. 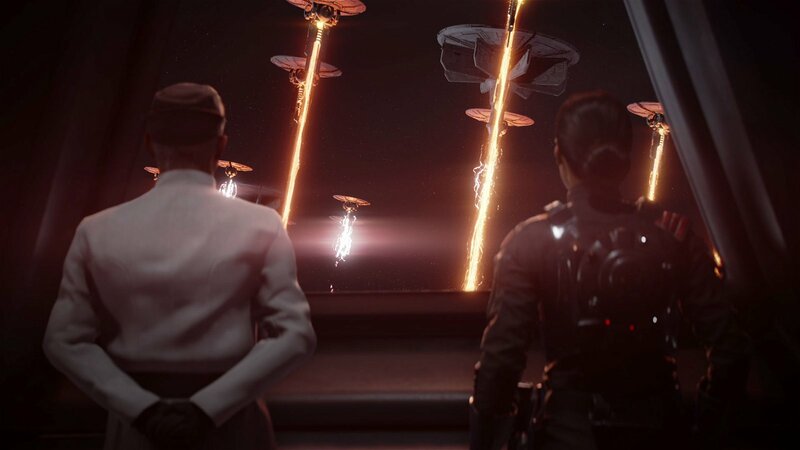 At the start, you (as Iden Versio) have let yourself get captured in order to sabotage intel the rebels have intercepted. This is the section of the game that gives the player the basic ideas of how the game is played, and features everything you would expect: some stealth segments, the ability to control a droid, and of course picking up and equipping guns and abilities. When in these ship segments, the game devolves into a duck and cover corridor shooter. That is not to say it is bad but were it not for the Star Wars license, these segments could drag on a bit too long, at least early on in the game. That being said, once you move away from the ships and onto the planets things open up in the best possible way. Moving onto Endor, you will get to experience what makes Star Wars Battlefront II so interesting. Lush forests mixed with a more open environment allow the Frostbite engine to really shine. While the game remains linear in these segments, it allows for a much wider style of play. You can opt to take things on from a distance, you can use abilities, and you can even run and gun—if you are so inclined. It is after this first segment that the game begins to show what it has in store. 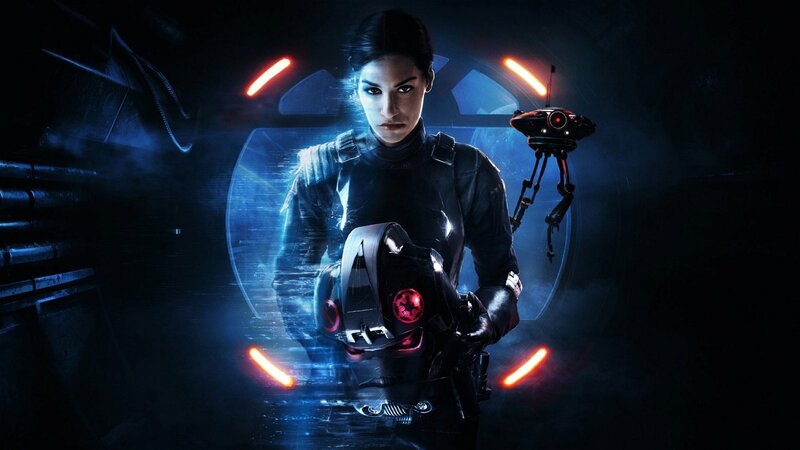 Taking place during the same time the second Death Star is destroyed, Iden Versio must work to unite the troops on the planet and strike back even as everything seems to be crumbling around the Empire. It is a take that has not been done before and gives fans a look at the aftermath of The Return of the Jedi. What can the Empire do to maintain control, and what do the troops on the ground feel about these choices? It is design idea that works well, and even with players playing as troops of the Empire, it manages to be a very human story. Moving on through the game, we find the Empire on the run. As one of the small smattering of troops that remain on Endor, you must work to fight against the Rebel forces looking to stamp out the Empire. The paradigm shift makes for some unique gameplay opportunities and works to humanize the troops of the Empire early on. Every group of soldiers you fun into manages to feel distinctive as individuals, something I never thought I would say about a group of Storm Troopers. It works very well, and early on, helped me as the player step into Iden Versio’s shoes and understand what she stands for. She is a soldier and as such, she cares about every member of the Empire left on the planet. Moving off the lush, vibrant woods of Endor to the debris scattered space to pilot a Tie-Fighter managed to be a haunting image. The wreckage of the once great Death Star fills the area, now just broken metal scattered around, thousands of lives lost. As you fly through what was once the greatest weapon the Galaxy had ever known, you learn a bit more about how the troops of the empire view the rebels. Space combat is what you would hope from the Battlefront franchise—everything is fluid and easy to understand. While I will admit it was during this section that I had the most deaths, it was also some of the most fun I managed up to this point in the play session. From flying through debris to dogfighting, you will get a solid taste of what space combat has in store. These transitions from space to ground work to keep the variety as you play. Motive Studios has clearly spent time working to ensure the missions and overall story mode does not feel tacked on, and has the meat to justify playing. From the first three missions of the game, Star Wars Battlefront II is shaping up to be a fun single player experience. There is enough variety that things should stay fresh through the 5-7 hour experience and the characters should carry players through until the credits roll. Building on an already great formula, Star Wars Battlefront II is shaping up to be better in every way then the 2015 instalment, although we will have to wait until the final release to say if the story of Iden Versio and her Infernal Squad is worth the price of admission.